I just love some of the pop-up cards in the Silhouette-on-line store. 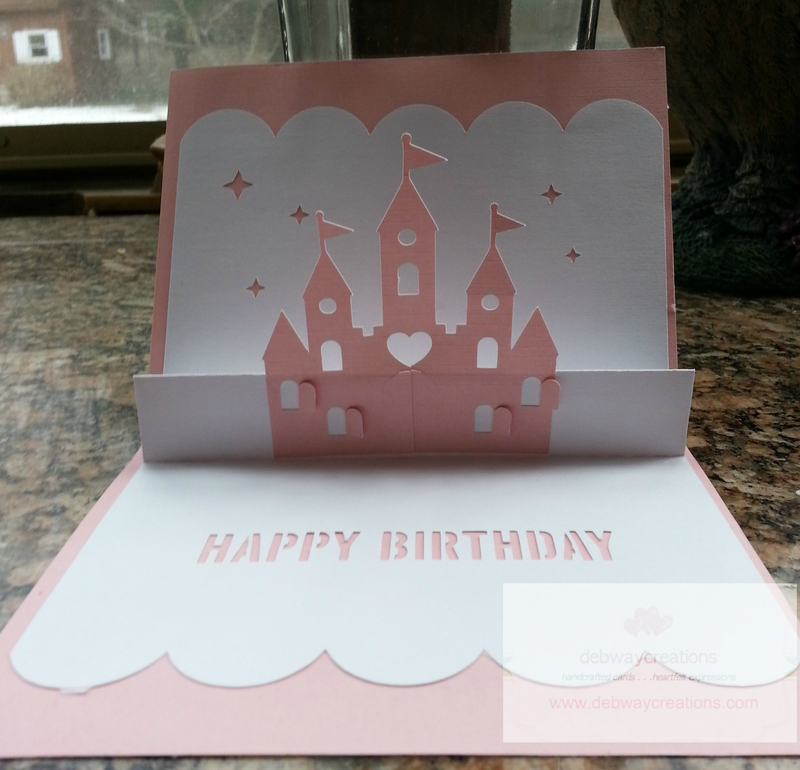 I used the 3d castle pop-up card by Lori Whitlock Design ID #39780 along with LD Happily Ever After files to create this Princess Pop-Up Castle Birthday Card. It was very easy to put together. The Pop-Up file cuts a perfect A2 size card. 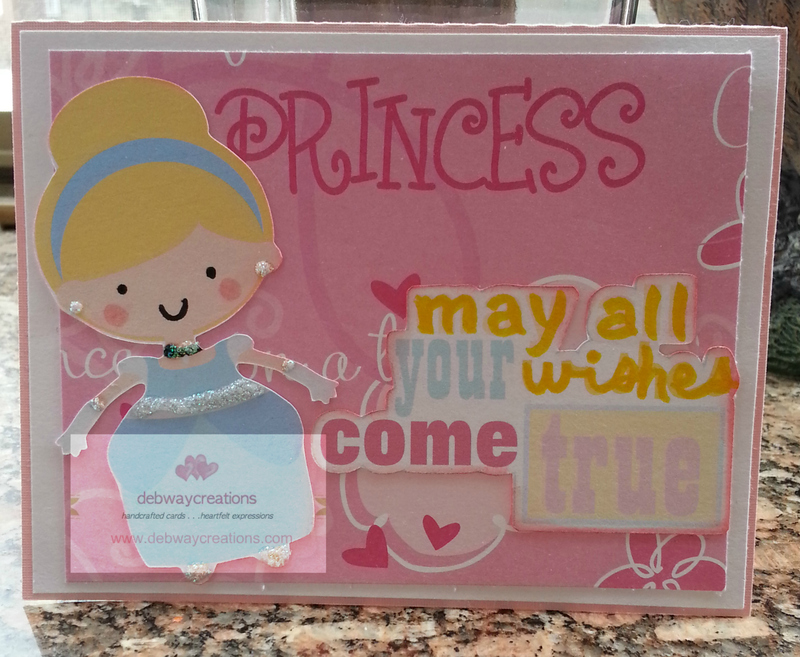 I used the Silhouette Cameo print and cut feature for the card front. Of course I added some bling on her ears and gloves. The paper was from my stash but I think I got it at Michael’s.